I need to talk about "the turtleneck scene" in Something's Gotta Give. 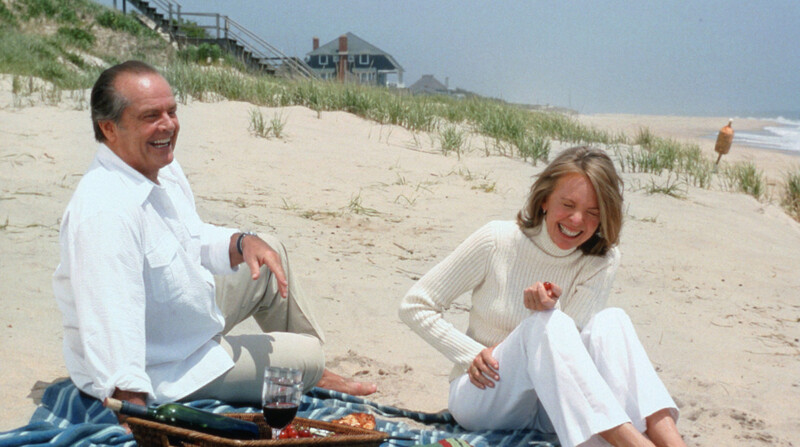 There&apos;s a scene in Something&apos;s Gotta Give when Harry (Jack Nicholson) and Erica (Diane Keaton) run into her Hampton home to escape a rainstorm. The tension between them has been building for the entire first half of the film, and he can&apos;t tug the ribbed cashmere turtleneck off of her fast enough. She hands him a pair of scissors from her bedside table, and he cuts. With the sweater off, Erica can finally shed the emotional, and physical layers, she&apos;s been donning. She literally wears V-necks for the rest of the film. I&apos;ve watched this movie so many times I now laugh a beat before every joke, anticipating it before it lands. ("Are you on birth control?" "Menopause.") But I stop laughing when the sweater comes off. Who in their right mind would destroy such a classic sweater? 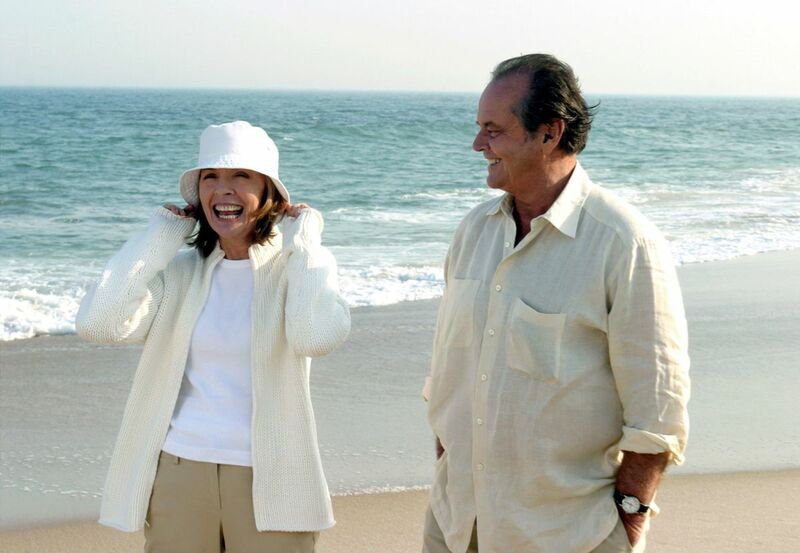 I&apos;m not saying she looks anything less-than-chic in her date night-ready suits or black V-neck at Le Grand Colbert, but she looked so pulled-together on the beach just hours earlier. Sun conscious and fabulous. It&apos;s been sixteen years since Something&apos;s Gotta Give was first released, but my affinity for a monochrome turtleneck hasn&apos;t waned in the least. Some of my absolutely favorite outfits come from women twenty years my senior. They wear practical shoes (sneakers are totally back)! And weather-appropriate layers! They rock barely-there makeup (hooray for skincare!) 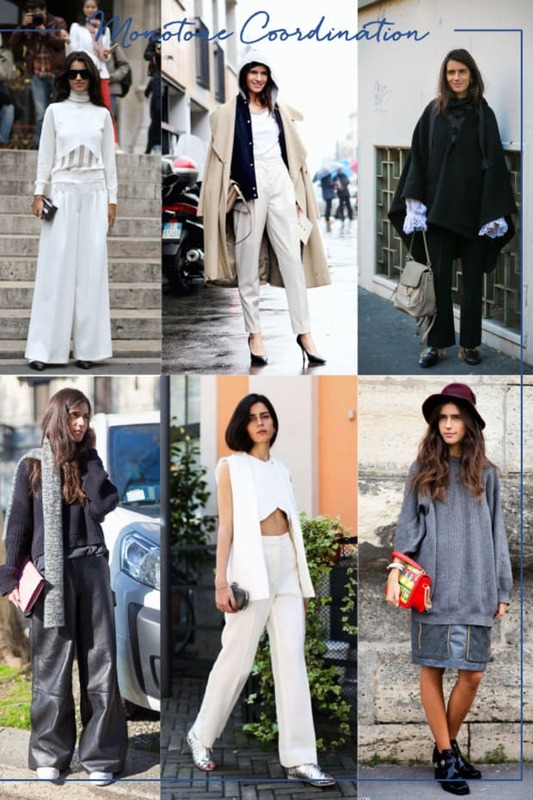 and monochrome head-to-toe! They look so comfortable! And they don&apos;t give a hoot about following trends. Work to happy hour cocktails blouse: I bought this Everlane Japanese GoWeave Cami ($68) on the spot when a friend wore it to dinner recently. She wore it tucked into vintage jeans with a black oversized blazer and Zac Posen cross-body bag and looked so chic. Leather tote bag: I recently bought the &apos;Allyn Tote&apos; from Dagne Dover (after seeing ads for it on Instagram) that&apos;s become my new favorite work tote, since it has pockets for everything built-in—my laptop, a sleeve that fits a book perfectly, and even my coffee cup. I&apos;m obsessed. I also love this unstructured bag from Cuyana. Everyday flat: I bought a pair of Jenni Kayne slides in &apos;cheetah&apos; two years ago and love them. At $425, there&apos;s no question they&apos;re pricey but I&apos;m planning on buying another pair in black leather I love them so much. Gwyneth will always be a style icon. Do you always look this laid-back, yet fabulous when picking up takeout Keri Russell? Have you ever watched a move and said, "I HAVE to have that?" Who are your style icons? Tell me in the comments below!